Twelve ways to clear negativity from a location provides easy tips for removing negativity from places such as your home or business. If you want to feel better or live in a happier environment, read on. Significantly, what most people don’t realize is that over time, areas may become infused with negative energies. These vibes are left over from disputes, grief, stress, or the use of drugs and alcohol. Even thoughts of suicide can permeate a living space. Negative emotions can start to accumulate bad energy. We call this, energy contamination, and energy like this should be cleaned out just as you would clean your house. Why is this important? Some homes have lower energy vibration than others. Lower energy vibration affects all the inhabitant’s moods, decision making, learning abilities, and motivation. Even if the energy in a home seems pleasant enough, doing a weekly environment cleansing will do much towards raising moods and enabling calmer feelings. Think of it as like dusting and vacuuming your house. Below are twelve easy and excellent methods you can use to purify your environment and raise the vibration starting right now. Open all windows and curtains or shades to let fresh air and sunlight in if at all possible. If it is really cold or hot outside, or you just like your house dark, doing this for just a short while daily will help clear any stagnant energy. The solar rays of the sun and an infusion of new air will allow the life giving force of prana, or chi, to flood in. Some people take steps to clear contamination every day. However, once a week is sufficient to clear residual contamination and raise the energy vibration of a living space. Keep your house clean and free of clutter. This is vital as negative spirits tend to hide out in dark and cluttered spaces. Dusting, vacuuming, cleaning toilets etc., is something that really helps to keep energy within a space clean and clear. In a way, this is only common sense. Spray the dwelling with salt water from a sprayer. Mix a few tablespoons of sea salt, not iodonized salt you use in cooking, with a cup of distilled water in a sprayer with a fine misting capability. Thoroughly shake the sprayer bottle to dissolve the salt. The salt in the water breaks down residual stagnate energy. Spritz in all or isolated areas which seem to be extremely negative in feeling. Your intuition will tell you where these areas are. Holy water is essentially salt water with a priest’s benediction on it. If you can obtain of some holy water, sprinkle it throughout the home or office (if your office mates don’t think you crazy.) Tell them it’s for their benefit as well. A lot of Catholic Churches and perhaps metaphysical bookstores may carry holy water in a bottle. If you can’t obtain holy water, put a container of purified water out in the sun for about an hour so it can become permeated with solar rays. This is an excellent substitute for holy water. If you can, burn incense rods or cones and carry them throughout the home and let the smoke accumulate for a moment even in closets, attics, and basements. Sandalwood or frankincense is good to use. Many places, however, will not allow incense to be burned. Or, people are bothered by the smell of incense. If this is the case, using the spritzer method, perhaps substituting a lavender or citrus essence, are aromas most people like. There are some great *Bach Flower essences that are good to use as well. 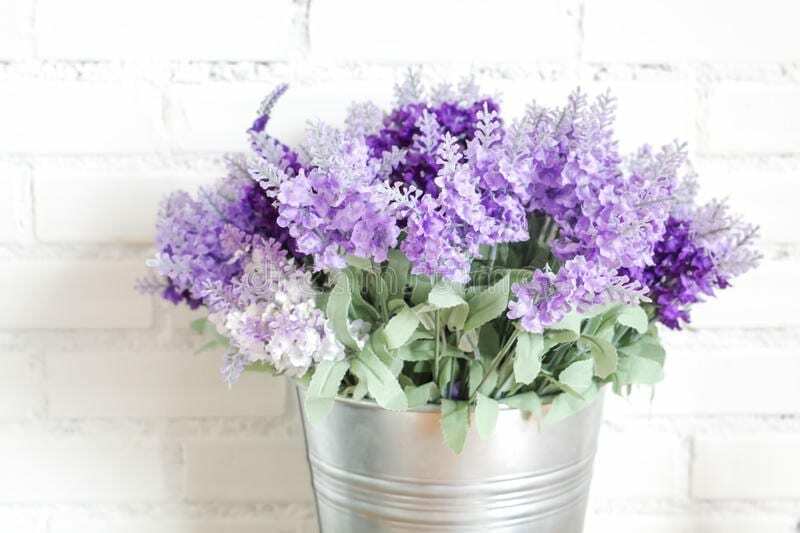 Keep fresh flowers in a location or maybe a small stem in your office space. Flowers go a long way to keep positive energy pervasive and dispels negative energy. Try to avoid having cactus inside a home. A fish bowl containing at least 3 small fish, or an aquarium, is great for moving energy about. I had a workmate that kept a tiny fish bowl by her computer. Luckily, she was allowed to have one in the office. Burning sage is another method that many will use in expelling negative energy and/or spirits that may have taken up residence. Sage may be bought in loose packets or in a wand shape. White or blue sage is best to use. You can buy it on-line or at an herb shop or metaphysical book store. Many people use a ceramic pot or abalone shell to use exclusively for this purpose. Just light the wand or loose sage and then gently blow it out. It will start smoking and this is what you will use to carry about the house or location. You might think this weird but rigorous clapping with intent of breaking up and dispersing heavy or contaminated energy in rooms works really well. To do this method, go into a room with the clear intention of dispersing any negative energy and clap loudly about 10 times. Using bells is very much like the clapping method. Ringing a clear bell throughout a location will help disperse old and/or contaminated energy. If you have unwanted spirits about, they hate this sound and may even skedaddle the premises! If I suspect that my home has become heavy with stuck energy, I will light a large Seven-Day Candle that is scented with vanilla, jasmine, or lavender and carefully walk it about the house — even opening up closet doors. It does wonders to lift the energies. 7-Day Candles can be found in many supermarkets and dollar stores. If any of the above does not appeal to you, mentally projecting out Purple Violet Energy is an excellent and non-obtrusive method you can use. Build up some good strong energy within you, call on your Archangels to assist, and then project beams of Purple Violet energy from your palms held facing outwards at chest level. Moving in a circle to cover even the deepest darkest spaces in a room, do this until the energy seems much lighter to you. If you are metaphysically inclined, you might call on the Ascended Master, St. Germain, to assist you. Make it a family fun thing and teach your children how to do it. Make sure, however, you tell them just to do it at home and not in public. You can move furniture around. Yes, that’s right. Do a little re-arranging of furniture and then vacuum the layers of dust from where they once stood. This does wonders for keeping energy vibrations up. Then burn a white seven day candle and place it where it will be safe and not be knocked over by children or pets. I always wash my candle on the outside before lighting it saying prayers and setting the intention of keeping negative energy from accumulating. I sometimes use the Guardian Angel Candle you can find in most grocery or dollar stores. You can always put essential oils on the outside of the candle after washing it. If you know some Feng Shui, which is all about moving around good energy, practice it on one room. You may have to get a simple how-to book on Feng Shui or find one at the library. Just perform a few little suggested things first and see for yourself how much better the energy in the the room feels afterwards. Enjoy your newly cleared and uplifted space! What Animal Are You In the Chinese Zodiac? admin2019-04-01T20:01:06-07:00January 1st, 2019|Comments Off on What Animal Are You In the Chinese Zodiac? What the Heck Is Metaphysics? admin2019-04-03T23:27:57-07:00August 2nd, 2017|Comments Off on What the Heck Is Metaphysics?